Campfire is going to receive a couple of big changes in Fortnite Battle Royale. Epic Games has announced a few more changes that are coming to "Fortnite Battle Royale" in the next few weeks. The popular video game will keep getting weekly patches this year as well, keeping players updates with fresh new content. The last update that was released was the v7.20 content update, which means that we will most likely get the v7.30 patch on Tuesday, January 29. The video game developer has been constantly trying to find the perfect balance for the popular video game, and that is something that is still the primary goal. Considering that "Fortnite Battle Royale" is already big on the eSports scene, the balance is essential, and we are hoping that it will be achieved very soon. One item that is going to receive a big change is Cozy Campfire, and the game developer has announced what these changes are going to be. Even though it doesn't seem that it happened a long time ago, Cozy Campfire was added to "Fortnite Battle Royale" in season 2. More precisely, it was added with the v2.1.0 patch on January 9, 2018. The item has been in the popular PvP video game for over a year, and it is going to get a huge change very soon. This trap item has received only one change since its release as its drop rate was drastically nerfed in the v5.10 patch. Before the patch, the item had a 33.33-percent drop rate from supply drops, but it was reduced to 7.5 percent after it. Reddit user ChefMax69 has posted an interesting suggestion for this item on the popular website. The user suggested Epic Games buff the item and make it give a shield to players who reach 100 health while standing next to the campfire. 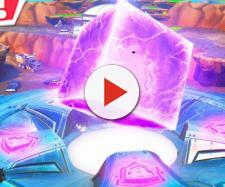 This post has received a lot of attention from the community, and the "Fortnite" developer has decided to talk about it as well. EpicRook, who is a Lead Item Designer for the video game, has announced that players will soon be able to interact with campfires found around the island. "Interact with the woodpile in order to light the fire. From that point on it behaves just like a Cozy Campfire: healing nearby players and burning out after 25 seconds," he clarified. At the moment, it is very hard to find campfires on the island, but this is something that is going to change. The item designer has revealed that more campfires will be added to the map, allowing players to interact with them and restore health. It is important to note that players won't be able to re-light campfires, and they will expire after 25 seconds.